If you are considering getting an EPOS (electronic point of sale) system, or yu want to update your existing epos software or the hardware that runs it then it makes sense to understand what it has to offer before doing anything else. This means understanding what the system is comprised of, otherwise shopping for one could get very confusing. The main thing to remember is that the system is comprised of two main parts – the hardware and the software. Both are required for you to be able to use the system. However there are plenty of variations available, which means no two systems will even be identical to each other. 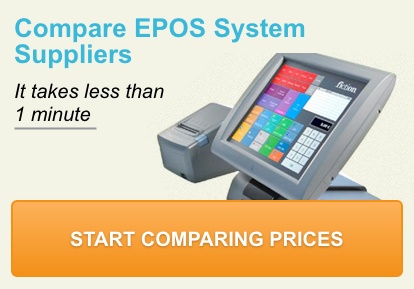 It is the versatility of the EPOS system that is the main benefit. Let’s look into the hardware and software separately in more detail. The main item of hardware is a computer. This is the heart of the system and is capable of taking and processing all the information from your business. This includes sales, stock and pricing information. Of course there are other items of hardware as well, and one item you have probably already seen in various establishments is the touch screen. This displays everything that can be bought by the customer, enabling the employee to put orders through very quickly indeed. When choosing an EPOS system you should always start with the hardware. This means you can then think about the most appropriate software to go with it. If you start with the software you may then be limited in finding hardware that is compatible with it. Hardware can also take the shape of barcode scanners. These are best used in situations where goods cannot easily be taken out of a trolley, such as in a hardware store where they might be heavy. The scanner scans the items and adds them to the bill. Mobile PDAs are another possibility, and are commonly seen in restaurants so the employees can take an order at the table and send it directly through to the kitchen to be cooked. As you can see, different hardware elements exist for use in different situations. You will probably find you don’t have to have anywhere near all of the hardware solutions on offer. However it is good to know you can choose the most appropriate ones for your own individual needs. The software for these systems enables you to make the most of the equipment you have. It can help with reporting, stock taking, placing and taking delivery of orders, not to mention serving customers and recording sales. Not all software is the same, so it is important to do your research so you can find the best solution for your business. Many software providers have created different software solutions to appeal to different businesses. For example, you can get software for retail shops, takeaways, bars and restaurants and many other industries and sectors as well. The best thing to do is to look for software products that have been designed for your type of business. You should find two or three quite easily that might suit your needs. You can then look into them in more detail to see which one would appeal most. Just remember to ensure it is compatible with the hardware you are thinking of purchasing. Getting the right software from the word go is very important. Changing to another type once you’re up and running with the first one is difficult, time consuming and can cause problems for the smooth running of your business. Most software products are designed to appeal equally to small and large businesses in a particular area. So for example, a single restaurant should be able to get as much out of an EPOS software product for restaurants as an entire chain of eateries would do. They would just use it in different ways. As you can see, this is not something to be rushed into. By exploring the varieties of hardware you can get and by looking at the various software solutions available, you stand a better chance of getting the best system. Once you have your hardware in place and your software installed, you can start reaping the many rewards that an EPOS system can offer you, both now and in the future.